Technology and globalization continue to reshape business models across all sectors and geographies, creating new types of jobs and disposing of old ones at great pace. However, monolithic, underfunded education and training systems around the world have fallen short of responding to this trend. This means that by the time they leave education, as many as two-thirds of children entering primary school today will not have the skills required to get a job. The impact will be worse for women who already have less than two-thirds of the economic opportunity that men have. The report was put together by a panel of business leaders, policy-makers, unions, educational institutions and academics. It recommends that governments and the private sector work together in eight core areas to ensure the world’s children are equipped for the future. 1. Focus on the early years: Reinventing education starts in early childhood, where the focus should be on literacy and reading. Adequate childcare provision for working parents will be critical in both developed and developing economies. 2. Keeping it dynamic: Training curricula must be aligned with market demand for skills – both job-specific and generic, such as problem-solving and project management. The challenge will be to keep these curricula dynamic and responsive to evolving business needs. In Finland, one of the world’s top-performing nations in education, the curriculum is updated regularly to provide an overall framework, with room for local adaptation by the schools themselves. 3. Open-sourcing education: The report advocates adopting training innovations more quickly, opening up to alternative learning routes (such as Hackathons) and allowing for experimentation with new techniques. For example, the New York City Department of Education has created "Lab" schools and tasked them with reinventing teaching and learning. In Ghana, the US and France, schools are pioneering short courses in coding based on peer-to-peer teaching, project-based learning and gamification. 4. Taking teachers out of the ivory tower: To bring education and business closer together, the report recommends initiatives such as teacher "externships" in businesses, workplace mentoring and involving the private sector in teacher training. 5. Giving students a sense of the real world of work: Similarly, students should experience the world of work from early on – for example through internships and ongoing career coaching – to help them see a variety of career options and the skills required. 6. 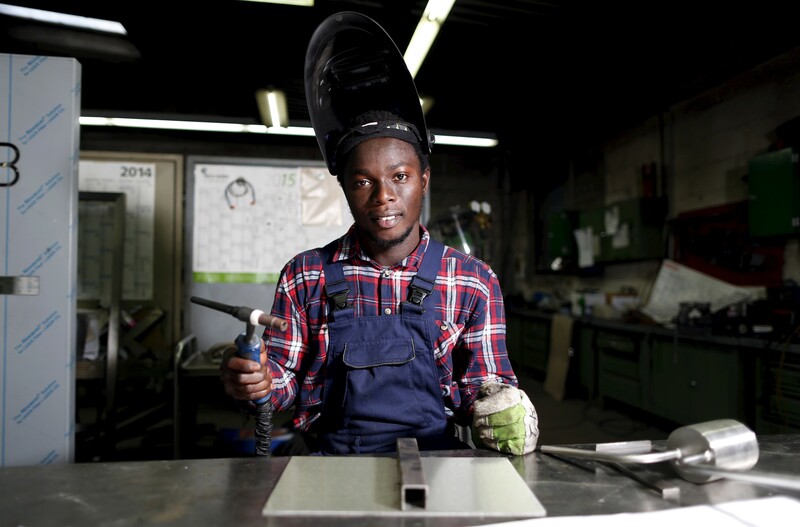 Addressing the vocational stigma: Vocational and technical education is critical to the world economy but has been neglected and often looked down on as second best. 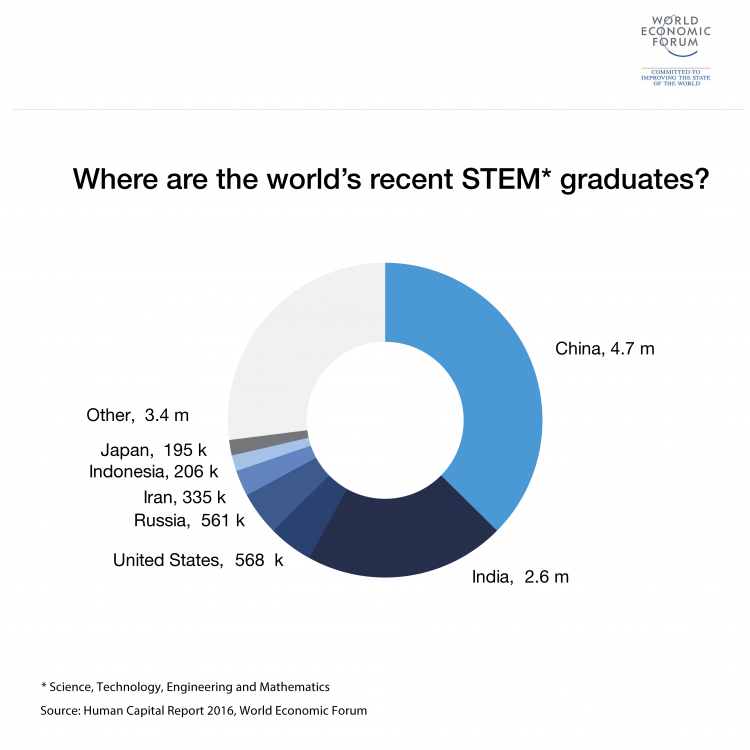 The World Economic Forum advocates promoting vocational and technical career paths more proactively and raising the quality of vocational training on offer. For example, Germany’s vocational training system sees apprentices divide their days between classroom instruction and on-the-job training at a company. Apprentices are paid and their training typically extends to between two and three years. Not only does this approach create an excellent talent pool, it also smooths the – often difficult – transition from education to the world of work. 7. Digital fluency: Digital skills will be fundamental to a wide range of careers, but "digital fluency" is not a given. The report highlights the need for a greater focus on ICT in teacher training and students’ work placements to address the growing digital skills crisis. One successful example comes from India, where the National Association of Software and Services Companies (NASSCOM) has partnered with NGOs and the Government of India to build National Digital Literacy Centres across the country to enable digital literacy. 8. Education, education, education: Given the rapid evolution of the job market, workers can no longer rely on just one skillset or narrow expertise to sustain long-term careers. The report advocates incentivizing employees to commit to lifelong learning so they continue to develop their skills or even retrain for new roles. For example, in Singapore, individuals receive an annual training allowance they can spend on a range of training courses all geared towards developing future-oriented skills. The fourth industrial revolution will turn the world of work as we know it on its head as it continues to unfold. The report suggests that, unless the world’s monolithic education systems can be reformed and rendered more nimble, their failings will come back to haunt future generations’ ability to prosper.